In a flurry of spring blossom, childhood sweethearts Nadine Waverney and Rilery Purefoy are married. Those who have survived the war are, in a way, home. But Riley is wounded and disfigured; normality seems incomprehensible, and love unfathomable. Honeymooning in a battered, liberated Europe, they long for a marriage made of love and passion rather than dependence and pity. At Locke Hill in Kent, Riley's former CO Major Peter Locke is obsessed by Homer. His hysterical wife, Julia, and the young son they barely know attempt to navigate family life, but are confounded by the ghosts and memories of Peter's war. Despite all this, there is the glimmer of a real future in the distance: Rose Locke, Peter's cousin and Riley's former nurse, finds that independence might be hers for the taking, after all. For those who fought, those who healed and those who stayed behind, 1919 is a year of accepting realities, holding to hope and reaching after new beginnings. 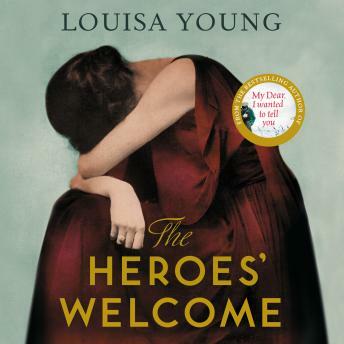 The Heroes' Welcome is a brave and brilliant evocation of a time deeply wounded by the pain of war. It is as devastating as it is inspiring.